Albuquerque’s premier CrossFit facility. Cantina CrossFit’s proud to be the most welcoming and inclusive box in Albuquerque. The gorgeous facility is filled with friendly and knowledgeable coaches who are committed to each athlete’s success. No drama, just a supportive community of peers devoted to making progress. Our gym resonates with athletes at every fitness level. Beginners and veterans alike thrive with our amazing CrossFit tools and smart programming. Each course challenges your body and pushes you to achieve goals you never thought possible. Sign up for Cantina CrossFit and take the first step to a brighter, tighter future! 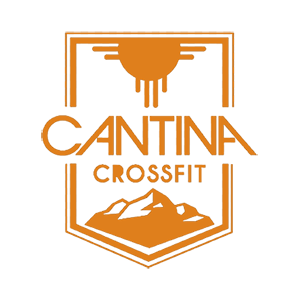 Cantina CrossFit is situated in the foothills of the beautiful Sandia Mountains. The supreme location provides stunning views and immediate access to gorgeous running trails. Inside the facility, you’ll find over 6,500 square feet filled with top-tier equipment and plenty of workout space. Stretch, lift, and train your heart out with one of our many programs, which include group and individual sessions. Plus, our dynamic coaches are always on hand to deliver expert instruction. Come on in and discover what other amazing amenities Cantina CrossFit has to offer.